"You got to see the vast celestial everything, and it blew your mind." Fox Searchlight has finally unveiled the first trailer for Lucy in the Sky, the feature directorial debut of TV filmmaker Noah Hawley (creator of "Fargo" and "Legion"). 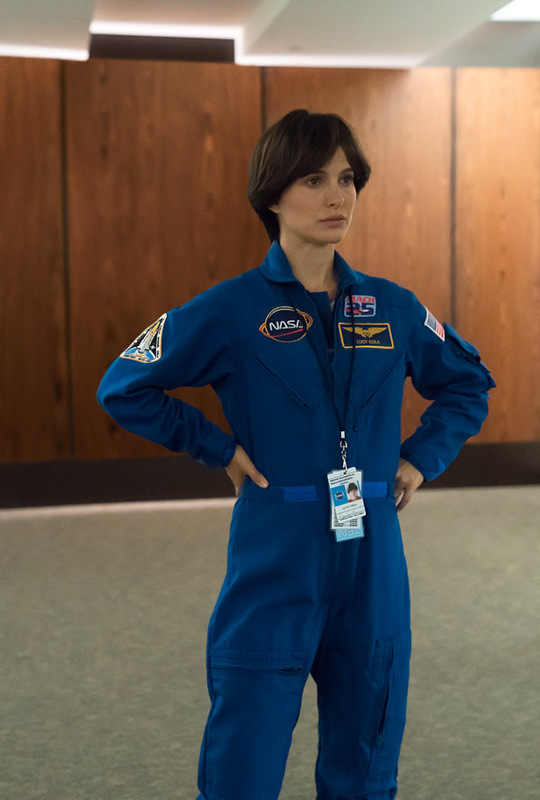 Formerly titled Pale Blue Dot before Lucy in the Sky (sans diamonds), this film is loosely based on astronaut Lisa Nowak's alleged criminal activities involving her romance with astronaut William Oefelein. In 2007, after completing her mission in space, she drove from Houston to Orlando and confronted another woman. Natalie Portman plays a fictionalized version of her named Lucy Cola, who has a breakdown and starts to lose her grip on reality after returning. The cast also includes Jon Hamm, Zazie Beetz, Dan Stevens, Nick Offerman, Tig Notaro, Ellen Burstyn, Colman Domingo, and Joe Williamson. We've all been waiting to get a glimpse at this and, as expected, it looks damn good. I love the difference in the framing when she's in space and on Earth, makes the difference feel that much more grand. An astronaut returns to Earth after a lengthy mission and begins an affair with a fellow astronaut. She heads into a downward spiral as she loses her connection to her family — a condition that can afflict those who spend a long time in space — and when her lover begins another affair with an astronaut trainee, the bottom drops out. Lucy in the Sky is directed by American filmmaker / producer Noah Hawley, making is feature directorial debut with this film, after creating and directing a few episodes of "Fargo" and "Legion previously. The screenplay is written by Brian C. Brown and Elliott DiGuiseppi, with other updates by Noah Hawley. The film hasn't premiered at any festivals or elsewhere yet. Fox Searchlight will release Hawley's Lucy in the Sky in select theaters sometime later in 2019. Stay tuned for more. First impression? Who's in?